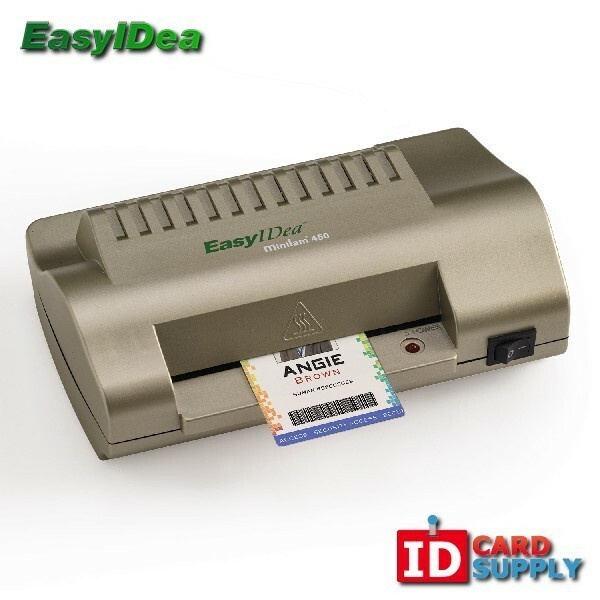 This EasyIDea MiniLam 450 ID card pouch laminator from IDCardSupply is made to create ID cards quickly and efficiently. This laminator is designed to handle 7 to 10 mil butterfly pouches, and allows for up to 2 hours of continuous use. The EasyIDea MiniLam 450 is compact and is easy to store when not in use. Get started on creating your ID cards right at home today, with this laminator!